At Acting Training we know how hard it can be to develop successful communication skills within a business or individually. We also know that no matter what you do, effective communication is central to your success today, and tomorrow. This is why our range of interactive workshops allow you to enhance your communication skills in a safe and non-judgmental space, all the while guiding you through a journey of self-discovery and self-development. Developing your own communications skills, or fostering them within your team can be challenging. With Acting Training, a deeper understanding of the human connection, enhanced interpersonal skills, and the ability to collaborate beyond ego are just some of the results you can expect. Acting Training offers one on one workshops for individuals seeking to hone their skills in specific aspects of communication. These workshops are developed to meet each individuals needs, and provide personalized feedback and focused individual attention. The Acting Training Workshops are developed and led by Carole Ammoun, a Lebanese actress, writer and trainer. Her extensive acting training started in Paris in 1999 and has continued ever since, taking her around the world. Her deep understanding of the body-mind connection, one so critical to communication that it is shared by actors and leaders alike, has allowed her to master complementary disciplines during her career. This versatility is a trademark of her workshops. Carole creates and conducts a range of workshops for adults and children alike in English, Arabic, and French. Her full biography can be found in the brochure attached. LEARN MORE ABOUT CAROLE’S ARTISTIC WORK HERE. Acting Training workshops are held in select locations across Beirut. Each of these spaces combines a unique environment conducive to learning with a creative and inspirational setting. 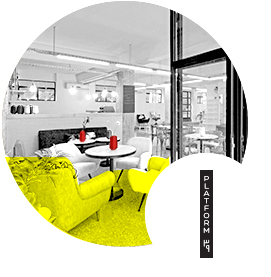 Platform 39 is an interior design store which showcases items and objects created by designers from the Middle East and Africa. It is also a meeting place to share ideas, as epitomized by The Wagon Lab; a space connected to the store, and dedicated to themed workshops and events. 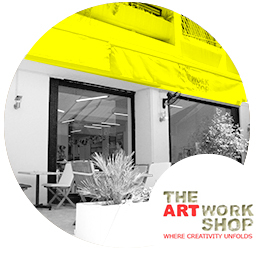 Created specifically as a space for inspiration, learning, and the freedom to explore, the Artwork Shop blends education with creativity to great effect. It offers a selection of learning opportunities to all those looking to develop their talents, and provides an ideal space in which to hold workshops. The highlight was the eye contact exercise; it was really powerful. You gave us the opportunity to better discover ourselves, see different sides of our colleagues, and analyze and understand the different personalities. The actual energy was really positive and constructive. Acting Training workshop is amazing. It helped me become focus and relaxed at the same time, to be aware of myself, my surrounding, and how I interact with others. I liked the voice exercises; I did not know I had such a powerful voice. Time flew so quickly, all exercises where short, nice and new, and all of them involved a little bit of our feelings and of our own inner world. Copyright 2015 Acting Training. All rights reserved.